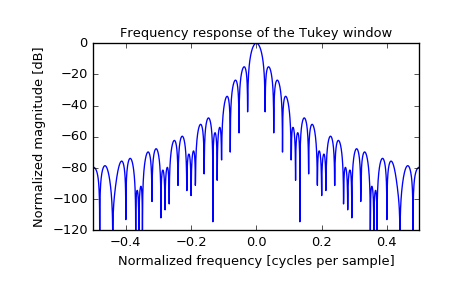 Shape parameter of the Tukey window, representing the faction of the window inside the cosine tapered region. 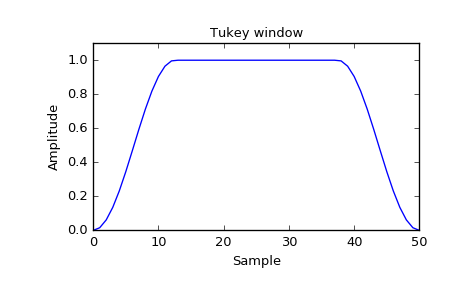 If zero, the Tukey window is equivalent to a rectangular window. If one, the Tukey window is equivalent to a Hann window.